Knitters are a pretty amazing community. As part of this community you probably already know this, but it never hurts to throw out a reminder. I’m thinking of two pretty fabulous knitters in particular here: Anina and Jan. You’ve seen them around the shop I’m sure, maybe even at a few of the Friday night soirees we’ve had lately. They are always cheery and happy to help. Starting new projects and ordering up the yarn we love. 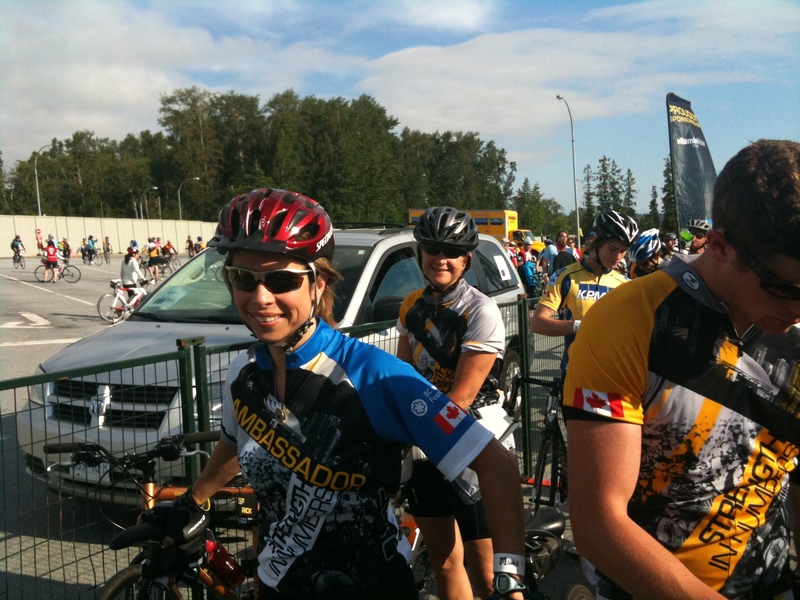 This past year they’ve been up to more than that though, they have been working their little buns off to raise money for the Ride to Conquer Cancer, and they have done a really amazing job! There are some moments in life that are worth noting because they seem small at first, but then they grow. This moment belongs to Anina, and it’s the moment she decided to join the Ride. Anina is the kind of person that goes all in. There is no halfway with Anina and it’s what we love about her. 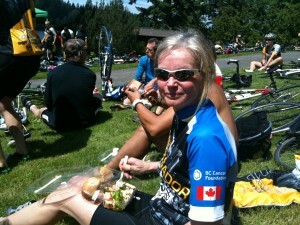 She wasn’t just going to do the ride, she was going to raise a lot of money! Jan embraced this idea whole heartedly and the two of them were off. They gathered their families, friends, aquaintances, anyone they thought might like to hop on a bike or give some money to the cause. They worked their contacts, manned the phones, fundraised in their community, and held a really fun silent auction. All said and done these two devoted women (with a little help from their friends) raised over $90,000. This number to me is amazing. I’m so impressed by their hard work and dedication, these two are ones to follow! There wasn’t just fun and games though (laugh) there was riding too. The ladies had to get their already in shape selves into even better shape for the ride! They rode all around our fair town getting ready for the big day. 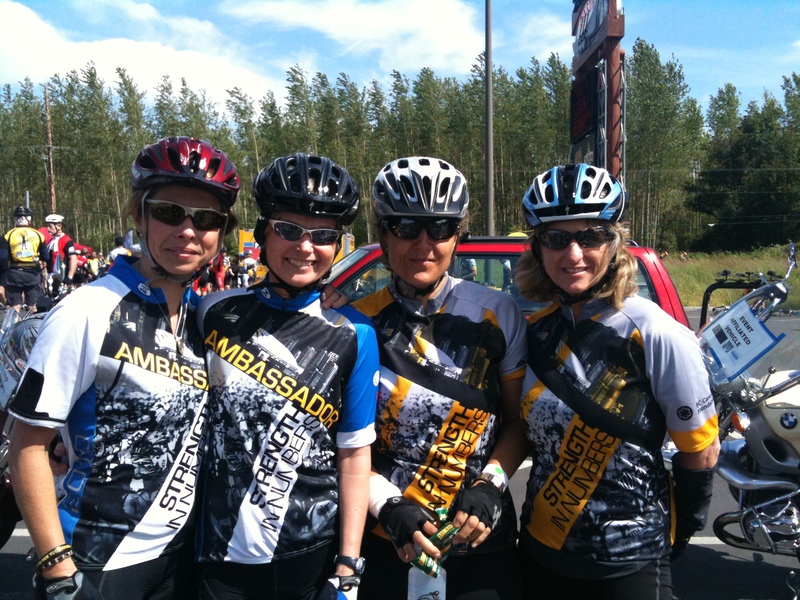 It was a 2 day ride through the Pacific Northwest and the 23 members of the Urban Yarns team had a blast. So, let this be a reminder, knitters are amazing and you can really do anything you put your mind to. This entry was posted on Monday, June 28th, 2010 at 9:25 pm	and is filed under Uncategorized. You can follow any responses to this entry through the RSS 2.0 feed. Both comments and pings are currently closed. Thanks Alexa, we are inspired every day with the endless stories of battles and survival that we hear about in our day to day lives and in the shop.